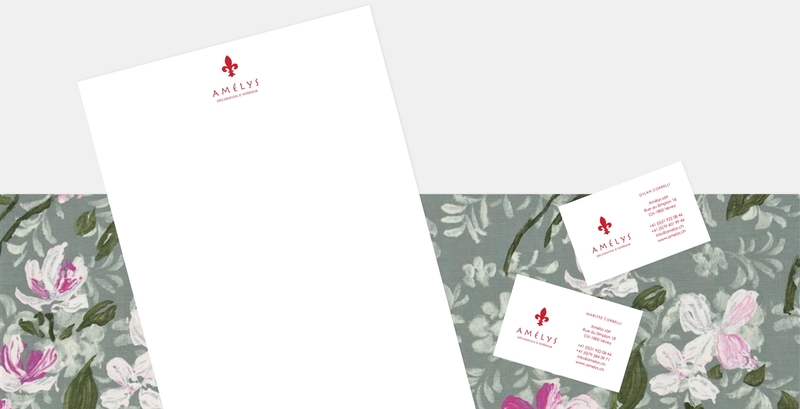 Corporate identity of Amélys, an interior design company based in Vevey. The logo has been redesigned to improve its reading and make it more contemporary. The main color has been softened to gain in brightness. 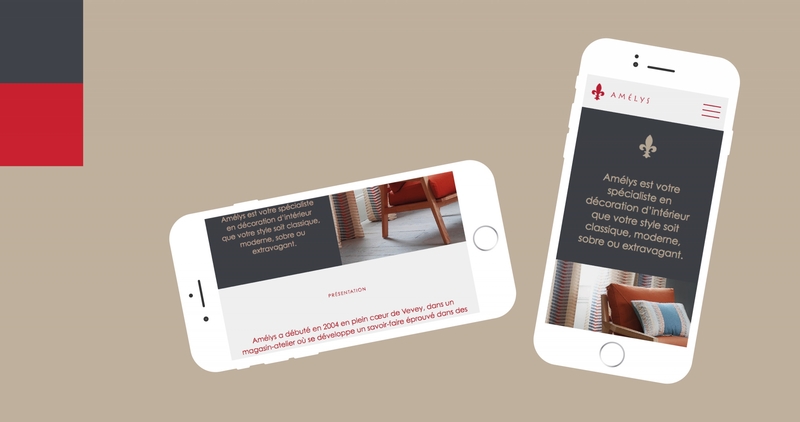 Graphic design and programming of a One Page Product site (the entire site is on the homepage). The company’s showcase website is clear and highlights the main aspects of the field of activity. The site is suitable for all screen resolutions.